The buttonhole stitch (or blanket stitch) is a stitch that I never really use. I always see cute flowers stitched using the buttonhole so I decided to try it out. I traced flowers from this free pattern with water soluble ink. After I was done stitching I dunked it in water to remove the blue tracing lines. 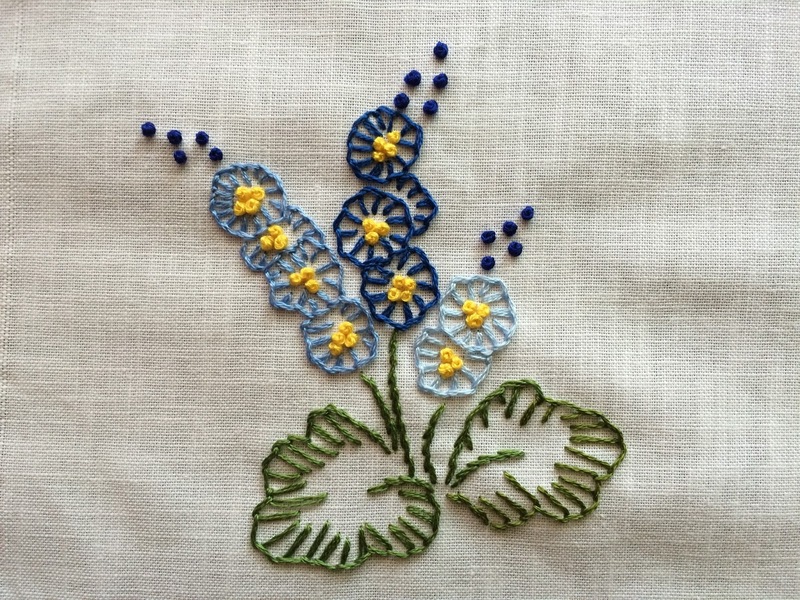 Yellow french knots for the centers of the flowers. All stitched with 3 strands of DMC floss. Thank you! And yes, I agree. 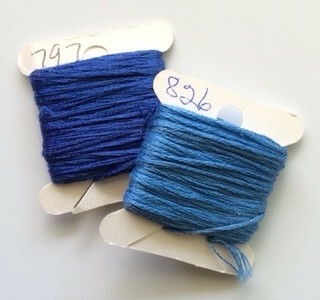 I always thinks of blanket stitch as an edging stitch too.